I often call Little Sister B my Mini Me. 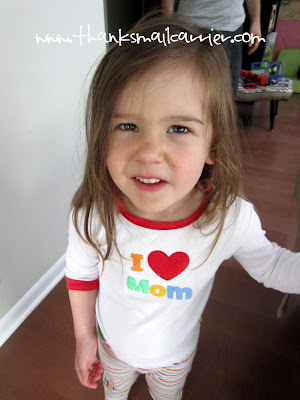 Not only does she physically resemble my childhood pictures, but I don't have to ponder too much about where her too-active-for-her-own-good wild ways and some of her quirky personality traits came from (even if I do blame as many of them on my husband as possible). Therefore, considering how much of a non-morning person I am, I can't help but chuckle when I look up to see Little Sister B stumble down the stairs in the morning or after a nap. Yep, that's just a smaller, much cuter version of me. The same way that we know to give Little Sister B some time and space when she first wakes up (or else risk the consequences), my family knows that it's in their best interests to not wake Mama up too early. And, if they can avoid talking to me too much before I've had a cup of coffee, all the better. Lately, that has been even easier thanks to my shopping trip to hunt down the elusive Coffee-Mate Natural Bliss creamers. Featuring the smooth, creamy, delicious taste that Coffee-Mate is known for, Coffee-Mate Natural Bliss has the added bonus of being made from four natural ingredients. 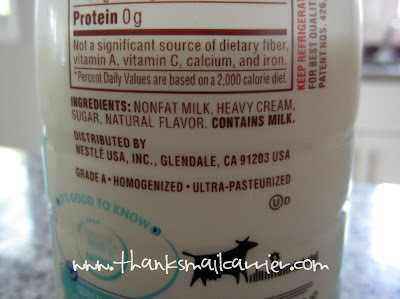 That's right, there's no long list of unpronounceable, indecipherable, artificial flavors or colors; simply milk, cream, sugar and natural flavor. That's it! Yikes! 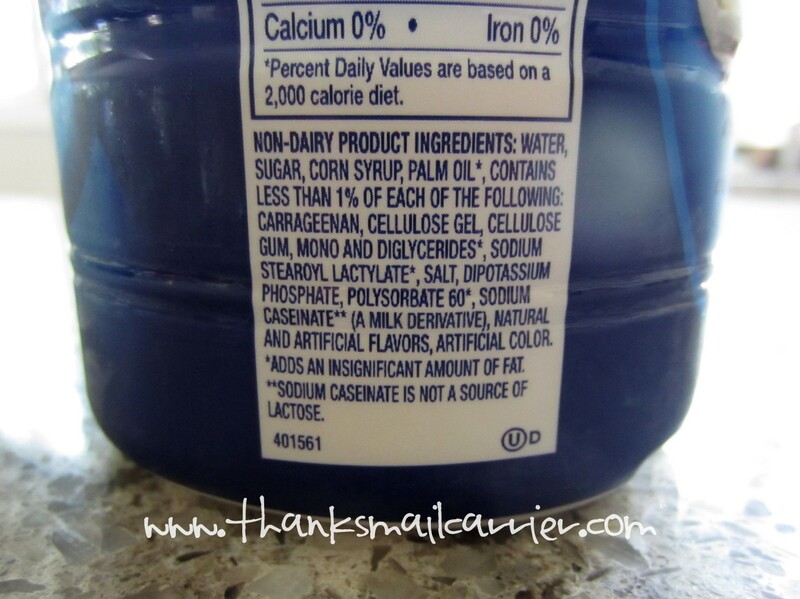 A drastic difference in what you're pouring in your coffee each and every day, isn't it? With three delicious flavors available — Caramel, Sweet Cream or Vanilla (low-fat Vanilla, too!) — no matter which Natural Bliss you choose, the lightly flavored taste is just the right complement to your coffee. I have been loving the Vanilla, as it provides just enough sweetness and flavor to my coffee that it starts my mornings off right. To go along with it only including four natural ingredients, I'm happy that Natural Bliss contains only 35 calories per serving, so I don't feel guilty including it (or having a second cup). At the same time, I've heard from other bloggers (check out the #NaturalBlissWM hashtag on Twitter for more posts!) that the Sweet Cream and Caramel flavors are just as delectable, so I have committed myself to branching out the next time I'm at the store and bringing home something new and tasty! Or, thanks to the coupon to save $1 off of 2 bottles of Coffee-Mate Natural Bliss, there's a good chance that I'll pick up both bottles next time so that I can experience all versions of my new favorite morning addition! Be sure to print yours off and head over to Walmart so that you can enjoy a cup of delicious, all-natural tastiness tomorrow morning as well. As well as saving money with the coupon, you can find out more about Coffee-Mate Natural Bliss on their website and connect with them on Facebook. 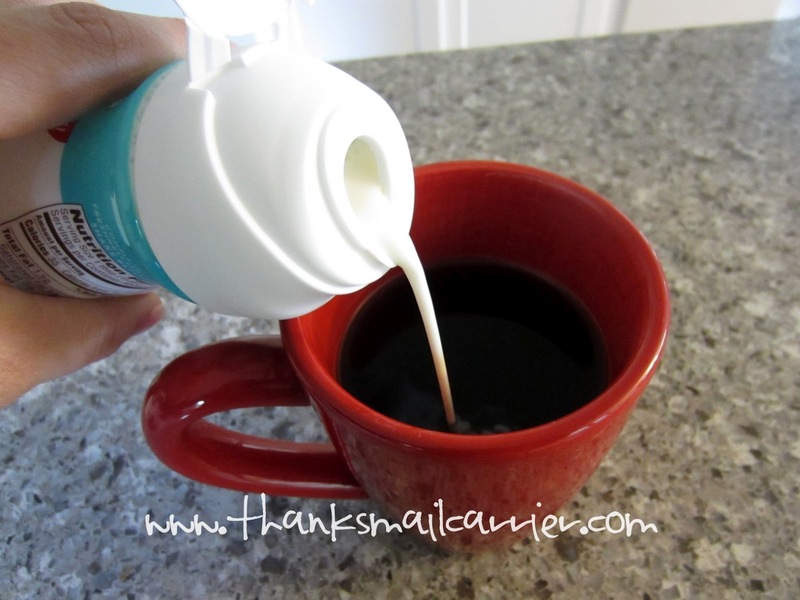 You'll find that this new creamer has taken over the coffee world by storm and, thanks to the four natural ingredients and delicious flavor, this is one way to add bliss to your day that you're not going to want to miss! I LOVE Natural Bliss. It really does taste amazing after having sugary creamers all my life. 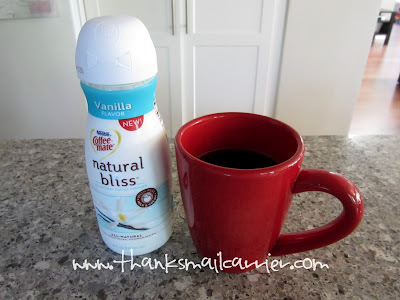 I do love the Natural Bliss creamers. Who would have thought the other ones have all of that garbage in them? My fam knows they can wake me...just don't expect me to do anything until I get my java! LOL! CARMEL IS AN AMAZING FLAVOR. SO NATURAL. WHAT A GREAT PRODUCT! Ha, too cute that neither you or your daughter are "Morning people"! Coffee always helps us grown-ups ease into the day!